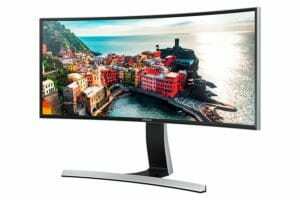 The mighty 34″ Curved Monitor SE790 from Samsung, is now reviewed by a contributor for Distrita. He have tested it with Windows and AmigaOS 4.1 FE under WinUAE. 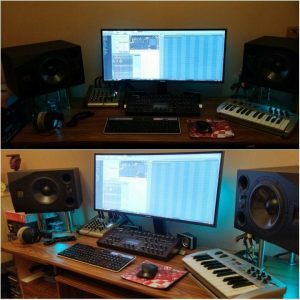 Read on his experience with this mighty monitor from Samsung. I am a Amiga guy that started with c64, then a500,1200(T),a4000(PT), A1G4XE, X1000. This year i finally decided to move on to Windows and only run AmigaOS 4.1/AmigaOS 3.9 inside WinUAE. I had 2 Windows laptops while using a1 and AmigaOne X1000 but decided to move on and get a powerfull machine to do my creative stuff there as the power and software avaible. And ofcourse for everyday use. The bonus is that I can run AmigaOS thru WinUAE in own window or full screen. 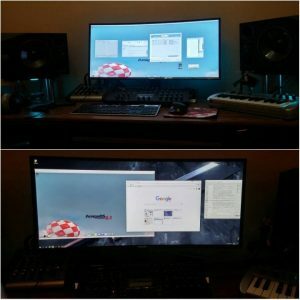 However this article isn’t Amiga specific, but about my New ultrawide 34 inch monitor Samsung S34E790C. Its connected to my desktop with I7-6700K 4GHz Quad-Core and the pretty low spec but silent gfx card Radeon HD 7750 fanless. I used it in AmigaOne X1000 previous and didnt feel I had to get something more powerfull as I am no gamer. Haven’t tried any game yet, except YouTube videos. A better gfx card I can always get later if I get the need. score in the second etc. Some friends have 3 and 4 monitors so they can use some screens for webbrowsers, irc etc. While i was on AmigaOne X1000 i went from 24 inch to 27 inch. It was easier to read and i didnt had to sit near the screen. The 4K screens was pricey and i think its a bit overload to use for AmigaOS. Something in between resolution would be more sutable. But i got the 27 inch cheap as the store had one samsung changed the lcd to a new one as the first had faults. It comes with 1 year warranty and it looked totally new. But anyway as im on Windows now i have all the power. Screens with 4k would take more space and i was afraid everything would be too small on screen. All I really needed was more space horizontally so i got the ultrawide. Its the most cost monitor I got but I got it cheaper because this one also had a faulty lcd that they changed to a new one. 1 year warranty here too. The samsung monitor you can easily tilt and change height. The monitor is curved which gives an effect like sitting infront of an spaceship controlling stuff. Its nice for movies specially for 21:9 as you dont get black borders. Less good for 16:9 movies but its no problems. You just see some black borders if you dont want to scale the picture.Theres also a plugin for chrome browser to fix youtube videos in ultrawide but havent tried that yet. I had the monitor only for 3 days now and my eyes have adapted to it. I will change to bigger fontsize for some programs later. I tried cleartype app in Windows 10 and it changed the fonts to look bigger and easier to read. I had to change colours, brightness and contrast and some other stuff to get the picture i like. You have a joystick on the back where you set all the settings (OnScreenDisplay). Its like with every new monitor that is new and bigger it looks too much and my eyes hurt until some days and settings everything its fine. I just need some days more to get used to my head movements left, middle, right, depending on what on screen i want to do. Right now typing on the left screen, chrome in middle and irc on the right and theres still much space left. When i made music on AmigaOne X1000 in program hd-rec the fullhd resolution was ok. Its not strange as most i saw was the score and if i needed plugins, mixer etc just hide/show them. FL Studio on Windows is another story as ofcourse its much more stuff you can do and see visually too keep track whats happening. the 27 inch (main) but as i sit so near I don’t think it would be good for my neck. Anyway this way its cleaner on my table. screen as I told stuff looks curved on screen. For every day I get used to it and don’t concentrate on it like first day. I read reviews about the screen and it gets ok results. Its not an IPS screen but has less bleeding on the edges like some IPS screens rewieved in same size. I like the picture after all settings and finding wallpaper that fits my screen :). I still have to learn how to do stuff in Windows, you can stack windows next to each other etc to fit better on the screen like for example running several chrome next to each other if you want to see more then one tab at same time etc. for some programs. First one is hexchat for irc…… DONE!